Dad’s post-citizenship life is an entire other lifetime, so I won’t try to cover it all right now. Instead, I’ll focus on three objects that appear in Every Day Is a Holiday: A hat, a Mustang, and a lamp. 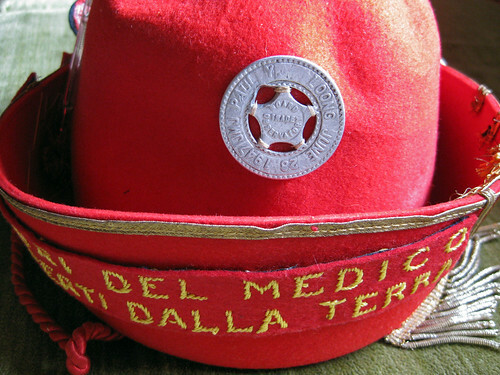 As stated in the movie, after college (as a 30-something freshman), Dad went to medical school in Bologna, Italy. 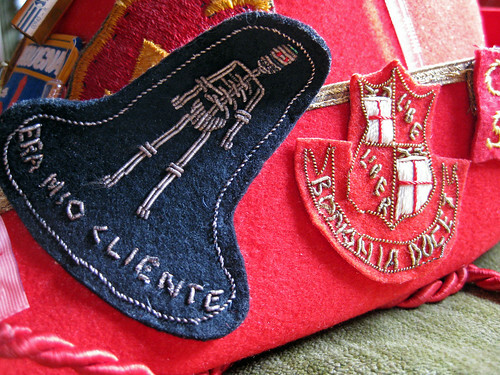 There’s a festival for matriculating students, where everyone wears hats that they decorate with personal items and embroidered patches that they can buy from vendors. 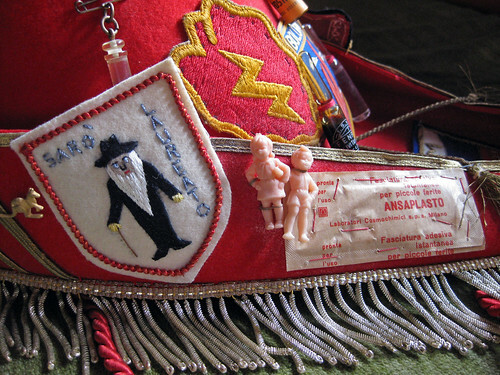 Above it is a personalized souvenir badge from the Chicago Board of Trade Observatory, June 28, 1947, from his days at electrical school. We learned about my Dad’s black VW Beetle in the movie, but we only caught a glimpse of his second car: a black 1969 Mustang, which he bought when he was living and working in New York after medical school. He says he was basically convinced to buy it by a friend (he’s never really been a car guy), and bought it outright. My sister and I only knew of this as my Mom’s car, which she would cart us around in, which meant baking, sticking agony in the summer thanks to its black vinyl interior. It was also a sight to see this tiny woman behind the wheel of a V-8 sports car. It would have been more impressive if it weren’t for the lengths of gray duct tape that ran down the entire right side of the car, from when my Dad sideswiped a NYC garbage truck and never got it fixed. 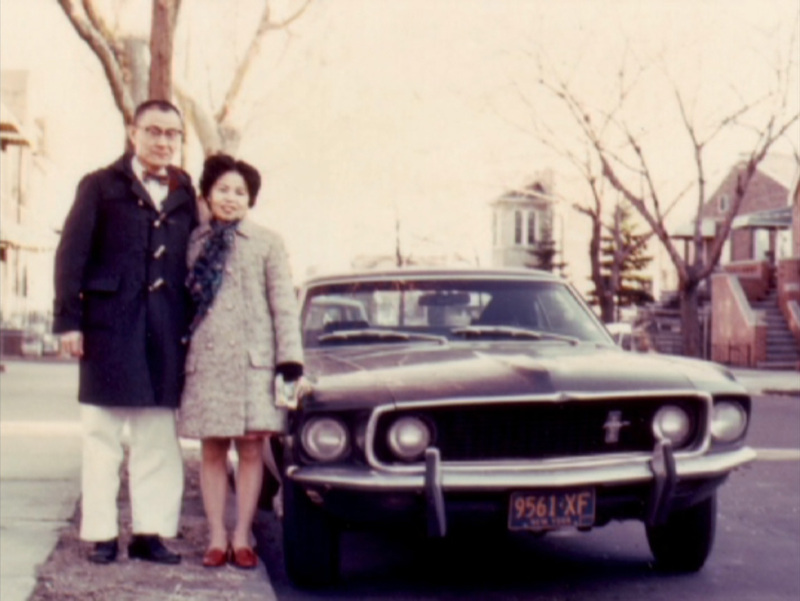 The Mustang was eventually sold — for a song — to a boyfriend of our neighbor’s daughter. 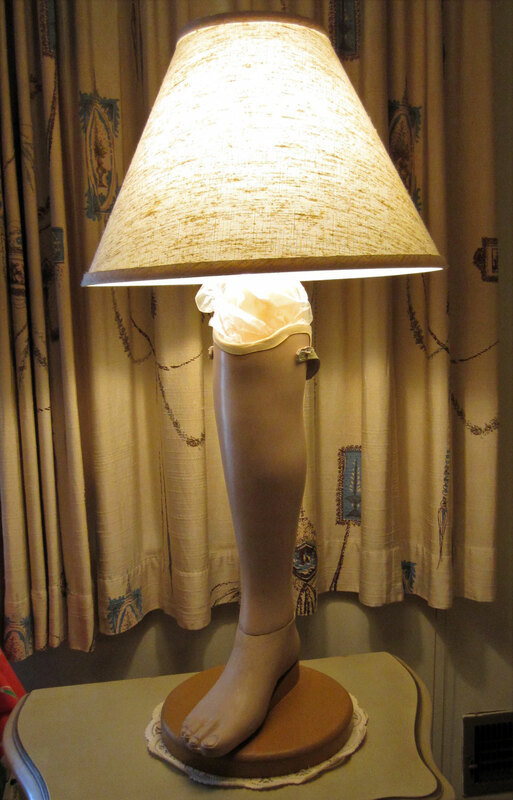 The lamp made from a leg. The lamp was a retirement gift from co-workers at the Veterans Administration hospital where he spent most of his career. Dad worked in rehabilitation medicine, helping veterans recovering from amputations, injuries, and disabilities. 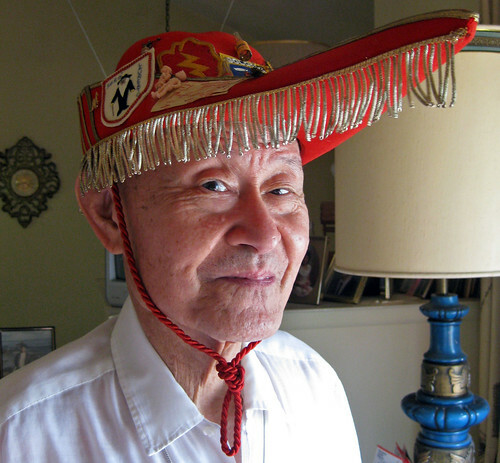 It was one of the ways he felt he could pay back the Americans who’d helped to liberate him from the POW camp. Next post: I wrap up this little series by wishing my father a Happy Father’s Day. All photos in this post are screencaps from the film, Every Day Is a Holiday, and come from my father’s scrapbook. We’re working on digitizing and archiving all of them, including the captions he meticulously wrote in the margins. In the meantime, learn how to buy a copy of Every Day Is a Holiday on DVD, where you can also sign up to be notified when the film becomes available on premium streaming services and other events.